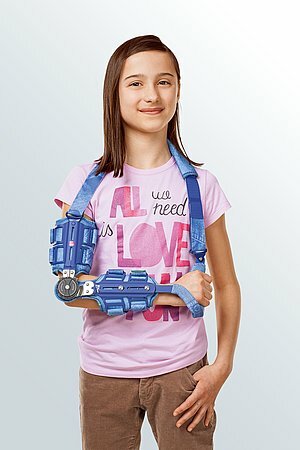 medi Epico ROM®s Kidz is an elbow brace. 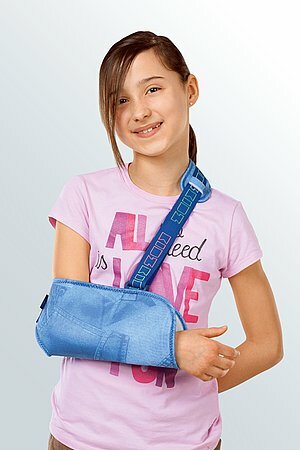 The product is exclusively to be used for the orthotic fitting of the elbow and only on intact skin. on the instructions of your doctor only. Open all the hook and loop fastener straps and put the brace on so that its joint lies directly over the lateral epicondyle. You can adjust the length of the arm rest with the two screws on the forearm splint. First close the two lower arm belts, then the upper arm belts. Guide one end of the neck strap through the ring on the arm cuff and fasten the hook and loop fastener. 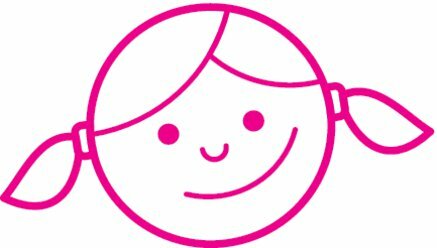 Pass the other end over your shoulder, guide it through the ring on the hand rest, and fasten the hook and loop fastener. 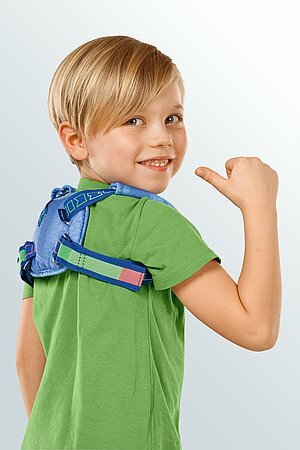 The neck pad can be adjusted individually, but it should lie over the middle of the shoulder. The pads can be trimmed to size with scissors if necessary. Wash the paddings and straps by hand, preferably using medi clean washing agent. With normal use, the hinge mechanism should not require any maintenance, but it can be lubricated with Teflon spray. 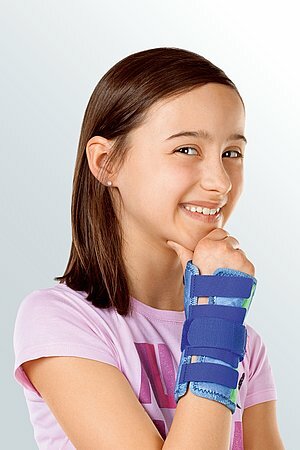 How to use our medi Epico ROMs elbow orthoses. Date of issue: until July 2018.